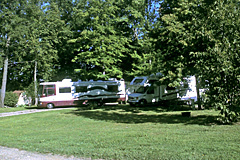 West Haven RV Park offers both overnight and seasonal camping. 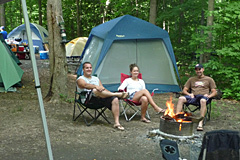 Campers enjoy spacious wooded or sunny sites in our friendly, family oriented atmosphere. 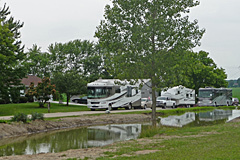 We offer a full range of sites for everything from tents to the largest RVs, including full hookups and pull-thru sites. 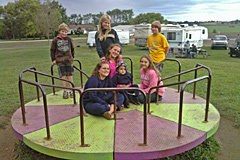 Price includes 2 adults and 2 children under 18 years of age. 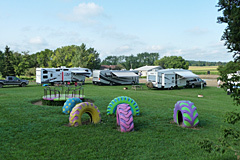 Extra adult is $3 per night and extra child is $2 per night. 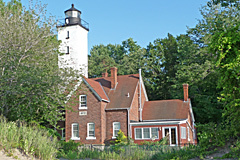 Roar on the Shore (7/16-7/20), Discover Presque Isle (7/25-7/28), and Labor Day Weekend (8/30 - 9/2). 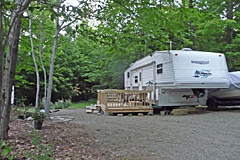 *3 night minimum for holiday weekends. ** Monthly rates plus electric. 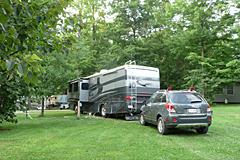 Winter storage (does not apply to seasonal campers): $40.00 per month. 7 days prior to scheduled date of arrival. 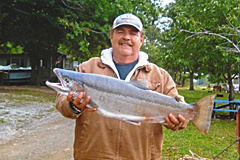 For reservations and information, call Jodie at (814) 403-3243.